There are moments in our lives that we anticipate will be memorable – graduations, weddings, the birth of children, the death of those close to us, and so on. We typically take steps to plan these events, both from a practical standpoint but also because we know that these events will be milestones; moments that either we want to remember and cherish (particularly if these are positive events) or know that we will remember, even if they are painful. More collectively, memories tend to be reactive. That is to say, an event (normally a shocking or unexpected one) happens which becomes a memory; a “where were you?” moment like September 11, 2001. Certainly, in sport, there are unexpected moments – victories (or defeats) that will be recalled and rehashed for decades to come. However, sport also does often offer the opportunity to plan a memory, knowing that a particular moment will likely form a part of a collective biography. 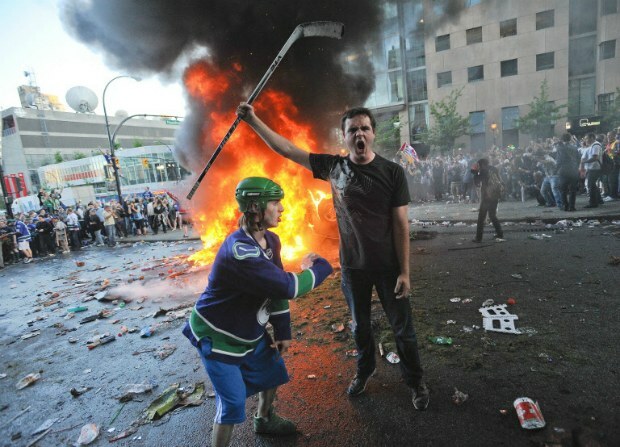 As I wrote about last spring, there is a tendency to form an “anticipatory sport heritage” whereby we rapidly assess the impact of a sporting event either in its immediate aftermath or, at times, before the event has even happened. As such, some events are thought to be “memorable” before they’ve event occurred. Of course, it is quite impossible to say whether this event that (at the time of writing) will be “once in a lifetime”, or that we can instantly assess its significance in our own lives or the legacy of our university. But, we can probably guess that it will be important, regardless of the result. Perhaps if Clemson loses, and perhaps wins in the coming seasons, the “once in a lifetime” will be contextualized in terms of an era of success. Or if they lose, and never return to the Championship, the memory will be bittersweet. 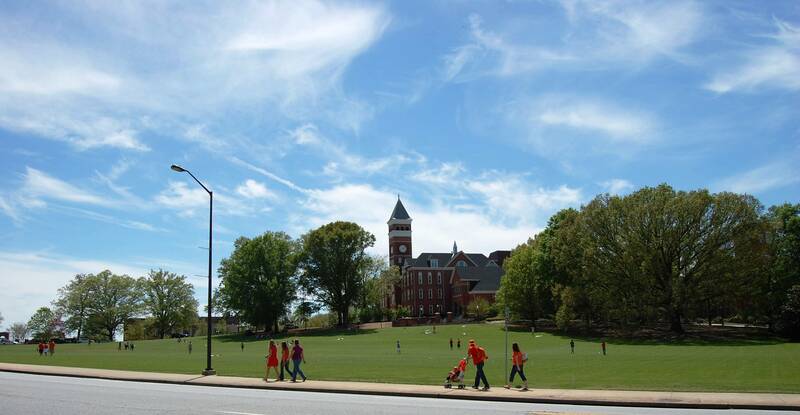 If Clemson wins, perhaps it will be something that the Clemson community will view as an integral part of its history; something to be shared, recalled, and nostalgized for years to come. 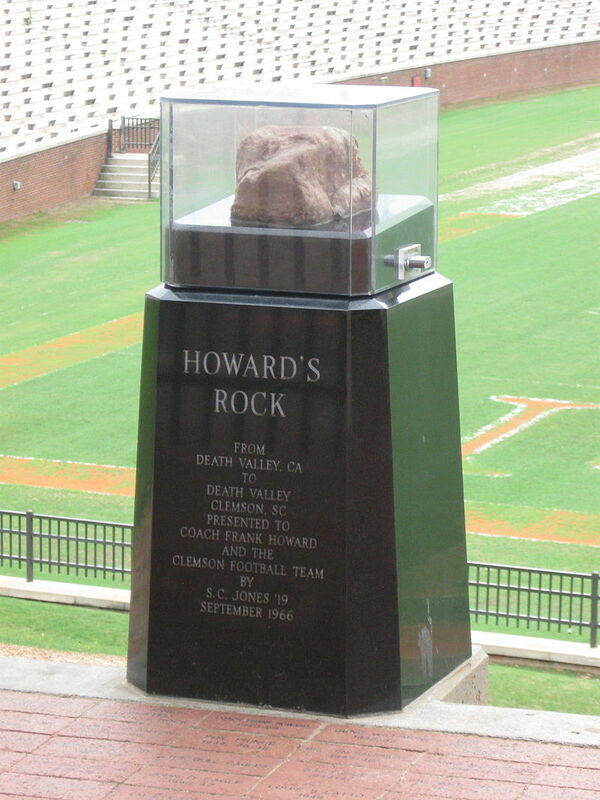 Both are near the College Avenue area and, in the case of Howard’s Rock in particular, are symbolic of Clemson football. As such, it will be interesting to see if there are several different celebration locations in Clemson itself, or if they ultimately meld into one particular place. Added to this geography, however, is the fact that the largest remote viewing party is at the Bon Secours Wellness Arena in Greenville, approximately 30 miles from Clemson University. It is possible, then, that the celebration will be quite diffuse. Of course, one hopes that such incidents won’t occur. However, the idea that we must plan for many eventualities does have to take place. 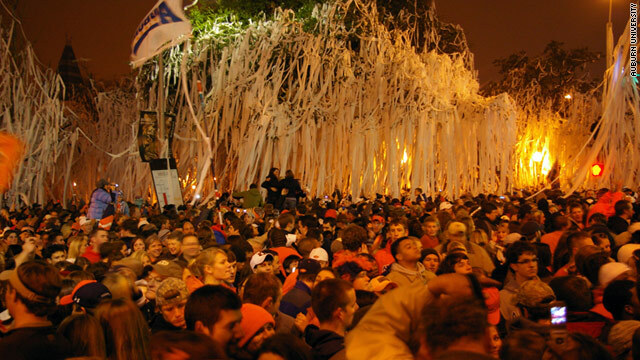 Furthermore, in the age of mobile technologies, celebrations (or any form of public gathering) can be dynamic; they can form and disperse quite quickly. From a heritage standpoint, there is something to be said that many public celebrations tend to take place at or near icons of place (many, if not most of which, could broadly be considered heritage). It is also interesting to see which icons are “chosen” as sites of celebration, and for what reasons. 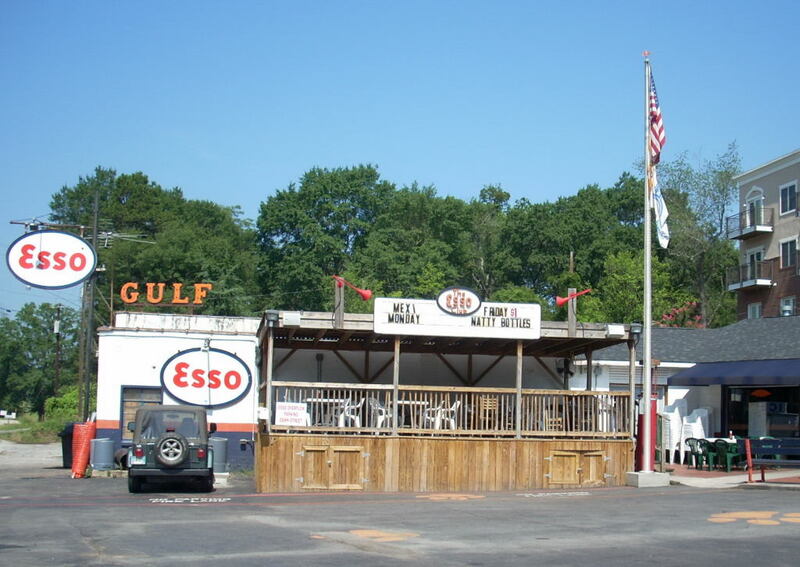 In Clemson’s case, I imagine that the College Avenue/Bowman Field area will be chosen in large part because it is central, well-known, has amenities (mainly bars), and, perhaps, because it is next to an icon and symbol of the university. However, it will be interesting to see that, if tonight and the coming days, other symbols and icons – such as Howard’s Rock – become the sites of a broader, collective celebration. Similarly, if they lose, which icons become the sites of mourning and why? By Gregory Ramshaw in Clemson, football, Greenville, heritage, history, local heritage, local history, South Carolina, sport, sport heritage, stadium on January 11, 2016 .